Rain Man has a lot to answer for – Do you speak Autism? For a relatively common condition, I am regularly surprised how many myths and pre-conceptions exist around autistic spectrum disorder. I shouldn’t be, really- after all, I often have to remind myself that before James, I wasn’t particularly informed either. We are living in the age of information. Armed with our smartphones and tablets, we are never more that a click away from an updated news feed or the latest email. When I was born, in the 1980s, people had only recently got used to having a fourth TV channel. I just tried looking at my Sky Plus planner to see how many there are now, but the list is so long that I actually can’t work it out. So, in theory, as a society we should be more informed than ever- but in reality, the more information that gets thrown at us, the more selective we need to be in what we choose to give our attention to. For most of us, unless a piece of information directly affects us, or is particularly sensationalist, scandalous, freaky, or disgusting, we tend to filter it out. In this culture of information overload, TV and film makers know that the key to ratings is shock value. So when the subject of autism is covered, it is often the extreme cases that we see. Consider Rain Man, The Undateables, or Louis Theroux‘s 2012 documentary, Extreme Love. They tend to follow a similar theme, focusing on the meltdowns, the ‘stimming’, the social awkwardness designed to make the viewer cringe; and unfathomable mathematic, musical and artistic capabilities of the autistic individual. There will usually be a few hard facts hidden in there somewhere, but ultimately it is all about the entertainment value. Our busy lives make selfishness a necessity. There are only so many hours in the day; how many of us have the time or the inclination to watch a sensationalist documentary and research the topic further, unless they have a specific reason to? But I did have a specific reason to. And when I looked at the facts, I realised how pervasive autism misconceptions are. Even my parents, who I consider to be more worldly than average (put it this way- don’t bother to enter a pub quiz if they are playing) were influenced by them to some extent. I’ve learned a great deal about autism over the last couple of years, but I haven’t directly experienced all of it with James. The key myth-busting message I would like to get across in this post is ‘If you’ve met one person with autism… You’ve met one person with autism’ (Dr Stephen Shore). All people with autism share some basic characteristics, often referred to as the ‘triad of impairments’– that is, difficulties with social communication, social imagination, and social interaction. But being a spectrum disorder, the extent to which the individual is affected in each or all of these areas differs hugely. 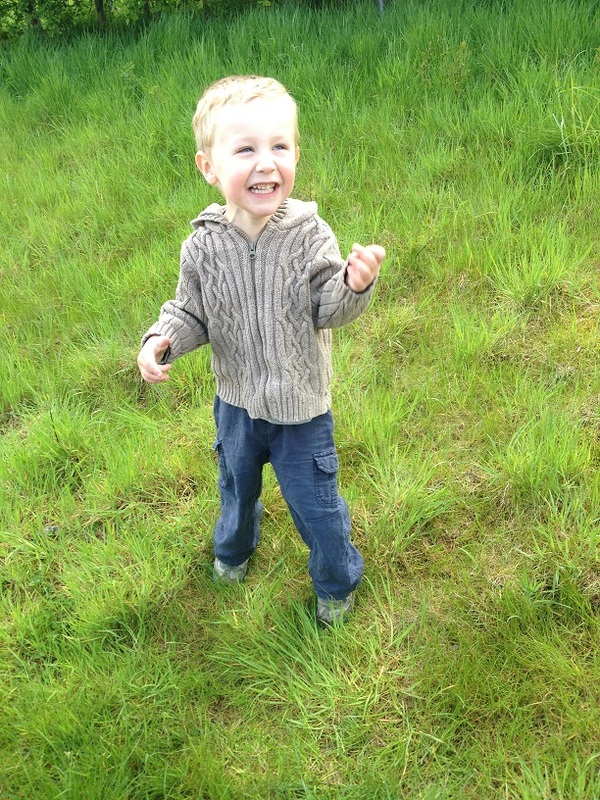 To date, I haven’t met a single child with autism who is exactly like James. I am going to take a look at some of the key myths and pre-conceptions that I have come across. Hmm.. Well these pictures say it all, really! This was the basis of my parents’ prior knowledge of autism and the reason why they assured me that James couldn’t possibly have the condition. I can’t blame them, as it is probably the most common misconception around- influenced, I imagine, by the likes of Rain Man. Autistic people smile, laugh, experience emotions, and are fully capable of showing affection- I experience this daily, first hand. That said, autistics’ social impairments can mean that they have difficulty processing their own emotions and interpreting the emotions of others. James, for example, often laughs inappropriately when others are angry or sad. And, although he can and does make eye contact, it is more fleeting than with a neuro- typical child and generally reserved for people he knows well. 2. ‘People with Autism have genius abilities’. This is a stereotype. There is no evidence pointing to a direct correlation between autism and intelligence. It is true that some individuals with autism have an incredible talent in a specific area- mathematics being the one of the most cited examples. 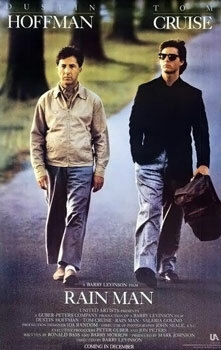 (Hello again, Rain Man). These people are known as Autistic Savants, and the documentaries have a habit of honing in on them. One I saw recently showed a teenager with autism who could tell you the day of the week that ANY date fell on, past present or future. Granted, it is amazing stuff- he had an incredible ability to see patterns in the calendar. Actually though, this type of ability is quite rare, but the documentaries usually don’t dwell on that. As it happens, James is very interested in numbers and shapes, and is good at recognising patterns. Personally, I don’t think the reputation autistic people have for being numerate and logical is completely without foundation. The thing is, though, he also loves jumping on trampolines and playing with toy cars. He is an individual with varied interests. I’m not sure what an autistic person is meant to look like, but what I will say is that it took two years of observations by highly qualified professionals to obtain James’ diagnosis of autism- so regardless of whether he ‘looks’ it or not- I can assure you that he is. Autism Shines, a project aimed at debunking autism myths, recently published a series of parents’ photos of their autistic children to get the point across that the disorder doesn’t reveal itself in physical appearance. This is a double edged sword, as I have mentioned in the past. When James is having a meltdown in the middle of the supermarket, his ‘normal’ appearance leads people to make ill informed judgements about his behaviour. Sadly, people are conditioned to think of disability as something they can see. 4. ‘Autism is the result of poor parenting’. Back in the 1950s and 60s it was fashionable amongst psychologists to blame perceived ‘deviance’ (such as autism and even homosexuality) on deficiencies in parenting. Frustratingly we are still waiting for a concrete answer on what exactly causes autism, meaning that these outdated theories have a habit of persisting in modern thought. It is thought that genetic and environmental factors may both play a role in causing autism. The most up to date research, however, claims that Autism begins in the womb . 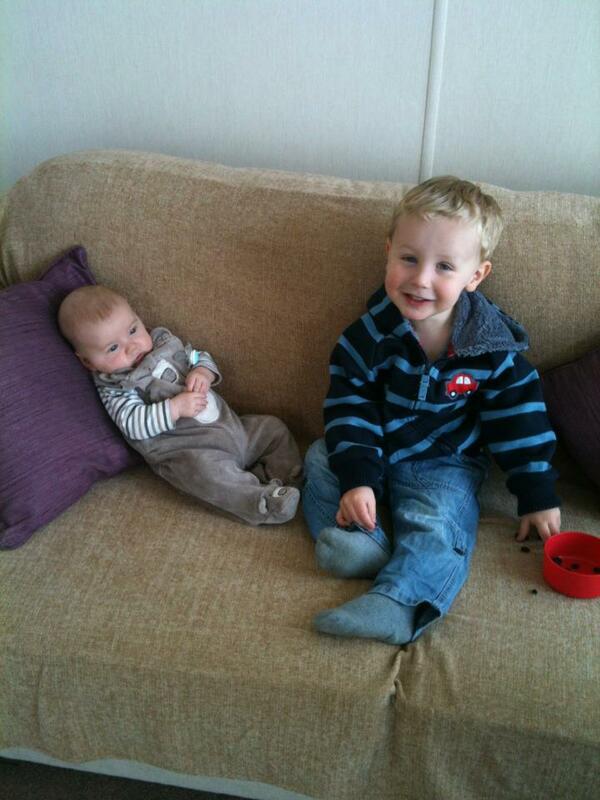 From my point of view, James and Sam are being raised in the same home environment, by the same parents. James has autism, Sam does not. Surely if autism was caused by lax discipline or emotional neglect, both (or more likely neither!) of my children would be autistic. This idea gained ground because autism typically begins to reveal itself between the age of 12 and 18 months, which also happens to be the time that MMR is administered. It is theory that continues to do the rounds, fuelled by anecdotal ‘evidence’- but study after study has failed to find a significant link between vaccinations and Autism. I am convinced that MMR had nothing to do with James’ autism. For a start, he was already displaying some tell-tale signs of the condition before he had the jab at 15 months. For that reason, I had no qualms about giving it to Sam, and I am a firm believer that everyone should vaccinate. My personal view is that parents are desperate to attribute autism to something– a feeling that I can completely understand. It’s so hard not knowing why – and always wondering if there was something you could have done differently. I have tortured myself wondering if by eating Marlin when I was pregnant, I subjected James to mercury which led him to develop autism. Or, if perhaps his difficult birth could be a contributing factor. I am now starting to accept that I may never know – although chances are, it wasn’t the fish. More to the point, it wouldn’t change anything if I did. Yes, I have actually witnessed this being said- the implication being that autism is not a real condition, but an invention by affluent Western parents to excuse the behaviour of their ‘naughty’ children. Aside from the fact that this is very insulting to autistic individuals and their families, it is also completey untrue. Firstly, getting a diagnosis of autism in the UK is actually quite difficult. Children are rarely diagnosed before the age of four and many struggle for years longer before doctors are prepared to label them as autistic. Stringent criteria needs to be met before a diagnosis is given. They don’t just get handed out to every child displaying challenging behaviour. These are, as I have said, just a few of the misconceptions that I have come across in the last couple of years. There are many more, as a recent Twitter campaign by the National Autistic Society has highlighted. I am quite sure that people have no intention of causing offence, and it is largely due to the misrepresentation of autism in the media that these myths are perpetuated. But as long as autism – indeed, disability as a whole – is so misunderstood by mainstream society, people like James will continue to get a raw deal. We have come so far as a society in creating equality and stamping out prejudice. Yet somehow, I can’t help thinking that we still have a long way to go when it comes to autism. 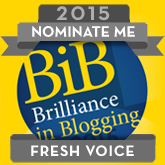 Psst – voting is now open for the Brilliance In Blogging (BiB) awards 2015. Please can I ask for two minutes of your time to nominate Do You Speak Autism in the Fresh Voices category! I would be very very very grateful! You can nominate me here – Thank you! This entry was posted in Autism, Autism Myths, Disability and tagged #ASD, #autism #parent #understanding #autismawareness #confession #positive, #mythsandfacts. Bookmark the permalink. I LOVE this, would you mind if I shared it with my readers? Great job- My brother has severe autism and I come across these misconceptions every day! Interestingly, I wrote a post on Rain Man and how it has affected people’s view on autism just a few weeks ago- glad I’m not the only one who feels it! I really enjoy reading your blogs! Spot on. Reblogged this on Beyond The Blog: Musings, Observations, Randoms & Other Stuff…. My quote appears to have been attributed to someone else in your blog post?